Visitors enjoy golf, fishing, miniature golf, bike trails, and nature walks. Area attractions include historical Williamsburg, nearby Yorktown and Jamestown, Busch Gardens, Water Country USA, and the Music Theater of Williamsburg. Less than 3 miles from the Williamsburg historic area, Governor's Green brings an elegant lifestyle to this colonial wonderland. Relax as you breathe in the air of history. You'll love colonial lodging style, surrounded by stately manors, lush green hills, lakes, and gatehouses. 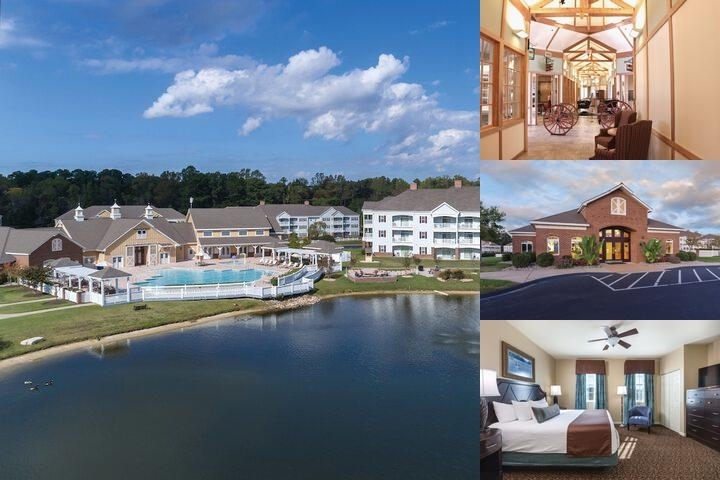 Scenic cruises of the nearby James and York Rivers are available just minutes away.Amenities include beautifully decorated units, ample space with den/loft areas and air conditioning. There are both indoor and outdoor heated swimming pools, hot tub, tennis courts, and exercise area on site.